I don’t know when I turned into a 13-year-old when it comes to communication but I have. The only way to efficiently hold a discussion with me at this point is not in person, via phone call or even email but instead it’s by text. I’m on the phone a good part of the time for my part-time job so talking more to you is just a chore. Not to mention I just don’t have the time. I need short precise communication where a good “ha ha!” can quickly communicate that you are cracking me up (I’m against the less personal and more popular “lol.”). Since I’ve been looking for a job my email is stuffed full of job alerts and other less helpful information and it is just too much to go through. Ask my mom. I just responded to an email she sent me early last week. I’m sure she had long ago given up on me ever looking at it. I use to have to have my email box cleared out every day before I could relax. Now all I care about is that I’ve read all my texts. Email be damned. Actually when I was 13 texting didn’t exist. Maybe that is why I’m late to the game. When texting became a thing it seemed so impersonal and juvenile. Now I’m on board. All in! My mom doesn’t have the ability to text on her phone plan but she calls Facebook messaging “texting.” She’s my mom so I let her. Everyone else’s Facebook messages often pile up in my inbox. 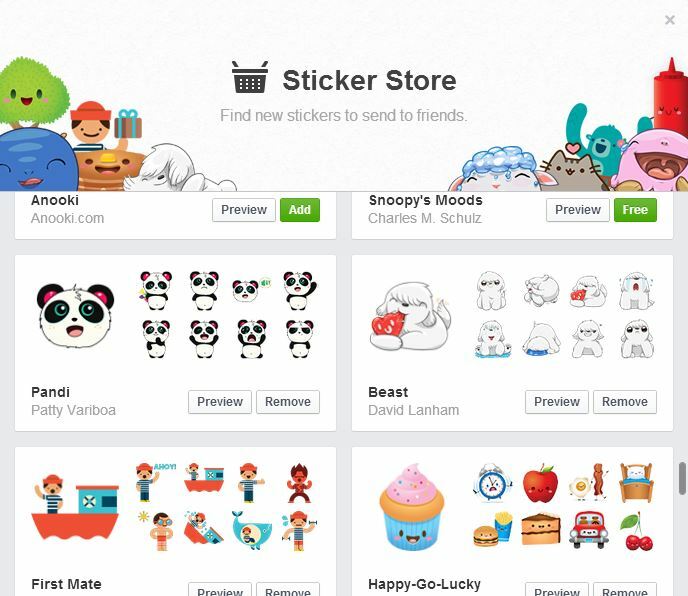 Although the one thing Facebook has going for itself are those “stickers.” Do you use those? Those are brilliant? Why should I type out a full sentence when a cartoon dog drinking a glass of wine says everything you need to know from me at that moment? 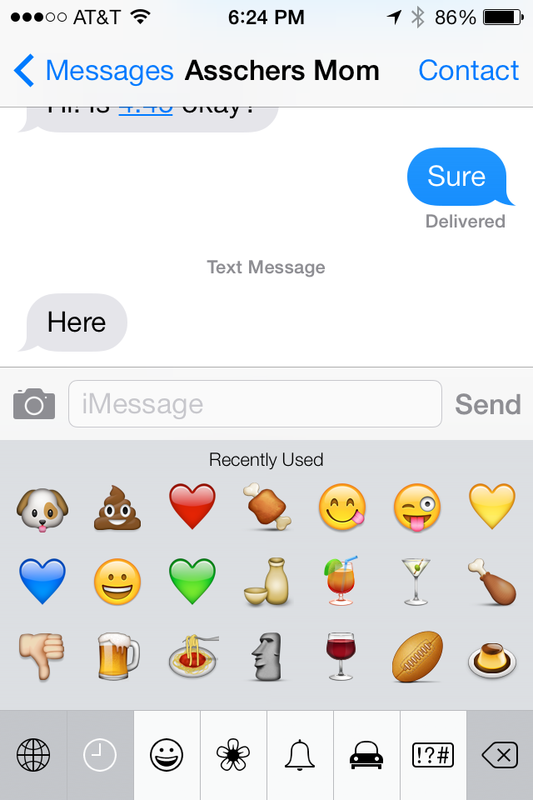 In fact, I need the same “stickers” to be available in texting. Sure you have those emoticons but they aren’t “emoting” enough. It’s no surprise that my most used emoticons are the doggie smiling face and the pile of poop. I have a friend who will text whole sentences only using these tiny little pictures. That’s pure talent if you ask me. This past weekend one of my friends was trying to email me about volunteering at her son’s school, what time we had to meet, what we were doing, etc. I scanned the emails but, they were emails, so never responded. I HATE people like that. I always have. How long does it take to hit “respond” and then “ok.” Well now that I’m one of those people I’m here to tell you it takes too long. She finally gave up and texted me. Then I responded! Happy ending! So if you need me skip the old-fashioned email communications, don’t you dare pick up a phone, if you drop by I’ll hide behind the closed-door and force all the dogs to be quiet until you leave … just text me! your last sentance described me to a T!!! and no VM’s cause i want them deleted and i’ll forget to call you back.